Click to HERE to listen to our Streaming Audio Messages. Click HERE to listen to our Radio Broadcasts. Streaming Audio, or “podcasting,” is a method to acquire audio files for your iPod, Personal Media Player, or other MP3 player. Apple Computer, developer of the MP3 player called the “iPod,” has called Podcasting, “the Next Generation of Radio.” People and organizations have begun to make content available via technologies that allow them to notify folks that have the right software installed on their computers (and are using a fast broadband connection to the Internet) that “podcasts” are available for downloading and listening to at their leisure. 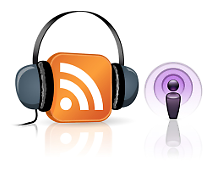 Users subscribe to “podcasts” using “podcatching” software (also called “aggregator” software) which periodically checks for and downloads new content. It can then sync the content to the user’s portable music player. Unlike radio or streaming media, podcasts are “time-shifted,” meaning that listeners have control over when they hear the recording similar to a VCR playing back a pre-recorded TV show. Using a portable player, such as the iPod, MP3 player, or a cell phone, podcasts are instantly available and can be listened to progressively while tending to other matters, thereby educating a busy listener with no time expense. From the producer’s perspective, podcasts cannot have live participation or immediately reach large audiences as quickly as radio can. However, podcasting allows individuals to easily transmit content worldwide without the need for expensive equipment or licenses. 3. Locate the “Audio files” option and select “Play using Windows Media Player” from the drop-down menu. Then, you can receive our Faith & Victory Podcasts and listen to them “off-line” on your MP3 player! Our commitment to use every available technology to get out the uncompromising Word of Faith message includes this new technology. You may also click on the appropriate link below to subscribe via the different services. Enjoy this powerful service of our website!